I was at a workshop this past weekend as a guest speaker for a 500-hour teacher training group, and am inspired to share some of the key points with you! This website is all about building your business, growing your career, and gaining the knowledge and skills that will help you live your dream of making a good (and even great) living teaching yoga. But this particular article will be a little different, because it is about something that underlies any and all “success” over time really working in our field: how your personal journey informs and enlivens what you share with the world. I often say that teaching yoga is this incredible career path because it asks us every day to keep growing. If you are already teaching you have no doubt found that putting yourself out there in this way is a bit of a fast-track into the fire of some pretty deep personal growth, right? This is intense for most teachers, and in my experience most new teachers think they are the only ones going through this! So ease up on the self-criticism, yogis! it is all to be expected, and in fact it is a powerful opportunity to deepen your practice, stay humble and keep learning, growing and healing in ways that are going to actually give you greater empathy, insight and wisdom as the authentic teacher you are in the process of becoming. 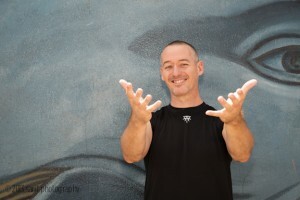 Your struggles, your fears, your vulnerabilities, all are the raw material of an ongoing journey into deep, soulful, integrated authenticity —and actually having something to share in ways that will touch your students and give them permission to be real, open and available to the true gifts of the practice we are passionate about sharing. And the ways in which teaching (especially in the first year or two) brings up a very specific layer of inner work for us will keep deepening your capacity for empathy, compassion and honesty about being human which is such an invaluable source of wisdom and presence. The metaphor of turning straw into gold is often used to describe how we transform difficulty into something valuable. How we meet the often daunting challenges of life and do the work of growth and healing that starts to shift how we perceive our personal struggles and seemingly unpleasant aspects of our experience. Take seriously the fact that you are inviting your students to be present with themselves, face their own demons, and cultivate genuine self-compassion on the mat —and that being on that journey in an ongoing yourself is crucial and will make your work accessible, relatable and beneficial in ways that ultimately underly building a successful business, growing an authentic community and finding your own meaningful self-actualization. Thank you so much – paradigm shift just happened. Spinning my wheels has taken on a celebratory meaning in a tough week.